Why Pinnacle Health Club 24/7 Cranbourne? A new Pinnacle Health Club has been launched in Cranbourne. See us at reception to find out how you can upgrade your Cranbourne gym membership and start working out at both gyms at your own convenience. Our Cranbourne gym is OPEN 24 HOURS A DAY AND 365 DAYS A YEAR. Here at Pinnacle Health Club Cranbourne gym your health and wellbeing is our most important concern. At Pinnacle Health Club our staff and members join as a team to keep everyone inspired, focused and smiling. This enables you to feel good about yourself in a comfortable, relaxed atmosphere as you work to improve or maintain your general health. Our range of services includes a state of the art Cranbourne gym, over 30 group fitness classes per week including Cranbourne Yoga, Pilates and Zumba, private ladies only gym, on-site child minding and so much more! At Pinnacle Health Club the experience is satisfying and fun. The new 24/7 Cranbourne gym gives members access 365 days a year. Your health and wellbeing is our most important concern. Over 30 Cranbourne group fitness classes per week. Cranbourne gym instructors can help tailr a workout to suit you. Our Cranbourne gym includes state of the art cardio. Body Pump, Yoga, Pilates, Zumba and more. 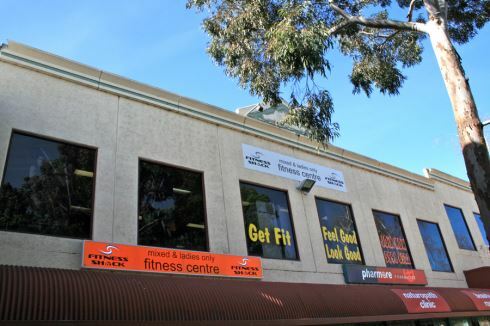 Our Cranbourne gym provides a relaxed atmosphere as you work to improve or maintain your general health. Convenient on-site child minding facilities for busy parents looking to train. We are fully equipped with a range of boxing equipment from heavy bags, floor to ceiling balls and speed balls. You are welcome to use this equipment at your convenience when no classes are running. If you want an invigorating boxing circuit, try one of our boxing classes. See timetable below. Come join in and box with some of the regulars. At the new Pinnacle Health Club Cranbourne gym, we have a membership to suit you. Come and speak to our friendly Cranbourne gym staff today and let us find the right membership to suit you.